The family's story as narrated by Yvette Medrano. Juan Carlos and I met through a mutual friend of ours in October of 2001 in California. I was born and raised there. Juan Carlos lived there with an older sister. We enjoyed going out as a group especially dancing. It was in this time that I really got to know him. As a friend I saw he was a great, humble hardworking guy. I enjoyed being around him and we have been inseparable since. I knew he was the one for me when I saw him interacting with my mentally challenged family members. He fit us like if he always belonged. To this day he has no problem helping taking them to the restroom and helping care for these adult mentally challenged men. Our son Jorge was born on August 11, 2008. We wanted to wait to get married by the church to have all our families together. Unfortunately we were not able to do that since we are Catholic and he does not have all his sacraments. Having a 2 month old son and all the extra responsibilities we decided to get married when we got our marriage license. It was not how we envisioned our wedding, however we knew we wanted to be together forever and when things settled for us we would have the church wedding I always dreamed of. 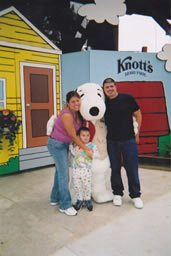 We got married on October 14, 2003 in Fontana California. We saw a lawyer here in Dallas TX in December of 2003. This where our journey with Immigration and lawyers started. We came to find out that we did not qualify for an adjustment of status and lost over a year at this step. We moved back to California and ended up hiring another lawyer. This time we were on the right track but even then we started the I-130 process in 2005. My entire family relocated to Texas and we came back to Texas as well for a better opportunity for our son and the dream of owning our own home. 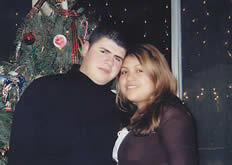 We both worked really hard and saved and on July 30, 2007 our dream of owning a home became a reality. We are purchasing a small 3 bedroom/1 bath home. It felt like our family was starting to seem settled for once! In January or 2008 we finally got a letter with an appointment for March. This was the best news we felt at the time. He has never had any trouble with the law, he has not left the country since he arrived at the age of 16 and seemed like it was going to be an uncomplicated process for us to go to Juarez Mexico to his appointment. In March just 4 days before we left for Juarez we found out from our lawyer that he was going to have to stay in Mexico until his waiver appointment for his illegal entry and that it was taking around 4-6 weeks. 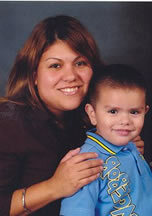 We arrived in Juarez and got his medical exam and pictures taken care of a couple days before his appointment on March 11, 2008. At his visa appointment on March 11, 2008, they told him he was eligible for a waiver and to wait 42 hours to schedule that. The following appointment was not scheduled for June 19, 2008. The entire time he went back to his mother's house in the state of Sinaloa Mexico, which is approx. 24 hours from the border city of Juarez. The weeks in between seemed like an eternity, however since he had not been back in his home time in so long, his family was happy to see what a great man he had grown-up to become. Our son Jorge was going through a difficult time dealing with the fact that is father was not coming home. It was hard to hear as a mother my son telling me that he hated me for leaving his father in Juarez and his father for leaving him here. 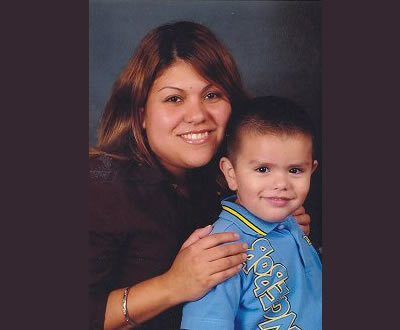 On June 19, 2008 at Juan Carlos waiver appointment there was not sufficient extreme hardship evidence to pardon his illegal entry. He was backlogged and we now have to wait 10-12 months until we hear what the final ruling is. I just recently found out that our clock does not start ticking until July 30, 2008. That would mean that it would not be until possibly next summer that we hear what is to become of our lives. I have had to come back to our home heartbroken, twice without my husband from Juarez. My son missed having his father participate in the spring season of T-Ball. (Jorge did not want to play this current fall season with everything going on). My son missed having his father take him to school the first day of Kindergarten. I have had to put my son to bed alone without an answer to his constant question; "When is Papi coming home." I have had to do a voluntary repo on our vehicle do to only one income source. Spent hundreds of dollars in calling cards in order to keep communication with my husband in Mexico. Having a hard time making ends meet and still have to send my husband money to get by in Mexico. He works getting paid $25 a week. I am on meds to help deal with the depression, insomnia and anxiety to add to my high blood pressure. I have put my education on hold. I had to go live in a relative's house because my utilities were turned off. The hardest thing for me to deal with is the fact that I feel I have failed my son. I have not provided him the stability every child needs. My son has had to deal with a lot of major things for a little 5 year old; his father being far away, moving from house to house because your house has no light or running water, changing vehicles and not understanding what is going on. I hope change comes soon to all of us. There are many families that are separated too. I do not want to continue feeling we are being penalized for trying to do the right thing, voluntarily. I want my life back, my house to be our home again with all of us sharing every day things like cooking together, doing homework, yardwork,groceryshopping etc. I ask God to give me the strength everyday to comfort my son and husband and give me the strength to keep going. Our organization is trying to help this family spend the 2008 holiday season together. Will you help?